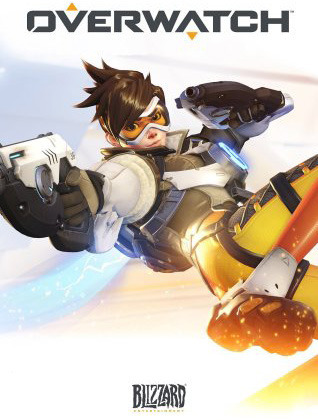 Overwatch gives each player a loot box every time they gain a level - quickly at first, then eventually slowing down until it settles at one loot box every 45-60 minutes or so. Boxes can also be purchased in bundles of varying sizes, from 2 boxes for $2 to 50 boxes for $40. These loot boxes each contain 4 random items - each item is either some cosmetic reward (ranging from spray-tags to character emotes to costumes), or an amount of in-game currency known as "Credits". Credits may be used to directly purchase desired cosmetic items, but can themselves only be gotten through loot boxes - either directly, or as minuscule consolation prizes when a loot box contains an item the player already owns. Items are grouped into rarity tiers; the rarest items very seldom appear in loot boxes and cost more Credits to directly purchase. When loot boxes contain Credits, there are also several different tiers of rarity, with rarer tiers containing more Credits. Overwatch often holds seasonal events, where loot boxes gotten within a certain period of time may contain items that are no longer available once the event in question has ended. While these items can be purchased with Credits, they cost several times as much as comparable non-seasonal items. With the creation of the Overwatch League, Blizzard added 12 new skins for each character, one for each of the professional teams in the OWL. These skins are bought with a separate premium currency named "League Tokens", sold in bundles from $5 to $100 per bundle. As with loot boxes, buying more expensive bundles nets you slightly more League Tokens per dollar. A single OWL skin costs roughly $5 worth of League Tokens. As part of the 2018 season of Overwatch League, an "All-Access Pass" can be purchased for $30 which includes several skins, emotes, and more. These items are not available anywhere else. On April 25th 2018, the government of Belgium announced that it considers the loot boxes in Overwatch to be both gambling and illegal. Overwatch gives each player a loot box every time they gain a level - quickly at first, then eventually slowing down until it settles at one loot box every 45-60 minutes or so. Boxes can also be purchased in bundles of varying sizes, from 2 boxes for $2 to 50 boxes for $40. These loot boxes each contain 4 random items - each item is either some cosmetic reward (ranging from spray-tags to character emotes to costumes), or an amount of in-game currency known as "Credits". Credits may be used to directly purchase desired cosmetic items, but can themselves only be gotten through loot boxes - either directly, or as minuscule consolation prizes when a loot box contains an item the player already owns. Items are grouped into rarity tiers; the rarest items very seldom appear in loot boxes and cost more Credits to directly purchase. When loot boxes contain Credits, there are also several different tiers of rarity, with rarer tiers containing more Credits. Overwatch often holds seasonal events, where loot boxes gotten within a certain period of time may contain items that are no longer available once the event in question has ended. While these items can be purchased with Credits, they cost several times as much as comparable non-seasonal items. With the creation of the Overwatch League, Blizzard added 12 new skins for each character, one for each of the professional teams in the OWL. These skins are bought with a separate premium currency named "League Tokens", sold in bundles from $5 to $100 per bundle. As with loot boxes, buying more expensive bundles nets you slightly more League Tokens per dollar. A single OWL skin costs roughly $5 worth of League Tokens. As part of the 2018 season of Overwatch League, an "All-Access Pass" can be purchased for $30 which includes several skins, emotes, and more. These items are not available anywhere else. On April 25th 2018, the government of Belgium announced that it considers the loot boxes in Overwatch to be both gambling and illegal.